Erected by Hugh MCCULLOCH, in memory of Agnes CLELLAND, his wife, who died at Burnfoot 4th February 1856, aged 40 years. John their son died at Carsphairn Village 14th December 1886, aged 35 years. The above Hugh MCCULLOCH died at Carsphairn 18th June 1899 aged 76 years. Janet MCKAY, widow of the above John MCCULLOCH, died at Carsphairn 29th Sept. 1899, aged 46 years. Their eldest son Samuel CLELLAN died at Victoria Infirmary, Glasgow on 4th January 1915, in his 70th year. Their son Jane (sic) SLOANE MCCULLOCH, died at Carsphairn 20th April 1924 in his 69th year. Their daughter Mary MCCULLOCH who died at Risk Park, New Galloway, 4th December 1933 in her 91st year. 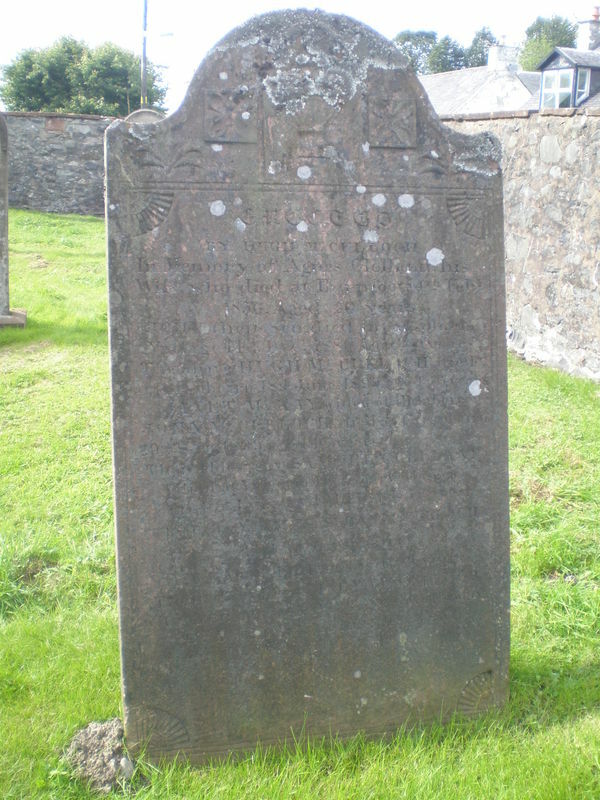 GC, “Kirkyard gravestone 1,” Carsphairn Archive, accessed April 20, 2019, http://carsphairn.org/CarsphairnArchive/items/show/107.